In the past, it was necessary for dentists to poke and prod at your teeth and gums with uncomfortable metal tools. These days, however, technology has progressed to the point that these old-fashioned tools are often not needed. Instead, dentists can often use laser technology to care for your teeth and gums. While laser dentistry can’t be used in every dental procedure, it can be used to combat general tooth decay and gum disease. Looking to reap the benefits of laser dentistry in Chicago? The highly-skilled dental professionals at Dental Innovations are the people to see. One of the great things about laser dentistry is that it causes much less pain and discomfort than using traditional tools. Because of this, patients who undergo laser dentistry procedures generally heal faster than patients who undergo traditional procedures. In fact, some patients don’t feel any pain or discomfort at all after undergoing procedures using laser dentistry. When traditional metal dental tools are used during procedures, they often cause abrasions in the gums, allowing for infections to occur. Lasers do not do this. Instead, lasers work to sterilize the area upon which they are focused, eliminating the majority of bacteria in that area. The result? A substantially reduced risk of infection. As noted above, laser dentistry is generally less painful than traditional dentistry. In many cases, it can completely eliminate the need for anesthetic. If your tooth has a great deal of decay, your dentist can use lasers to hollow out the tooth, ridding it of all decayed matter. This procedure is often used prior to standard cavity fillings, helping to make the process as efficient as possible. If you suffer from gum disease, laser dentistry can be hugely beneficial to you. Often times, lasers will be used to remove bacteria from the gums, shaping them, and readying them for root canal procedures. Do you deal with brown or yellowing teeth? Are you looking to whiten them as much as possible? Laser dentistry can help. 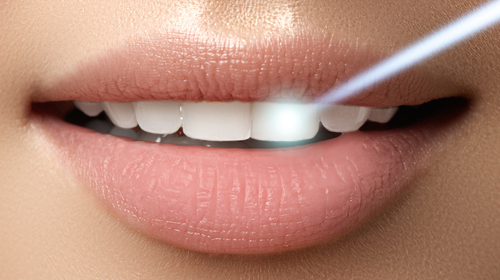 Lasers are often used during in-office teeth whitening procedures, working to speed up the overall process. Generally, they are used to activate the peroxide substance which is applied to your teeth. When Can’t Lasers Be Used for Dentistry? Unfortunately, laser dentistry is not always a treatment option. Sometimes, the traditional dental tools are needed. For instance, if you’re trying to remove an existing filling, lasers can’t help. Likewise, if you’re having cavities filled between teeth, lasers will not be used. Having large crowns removed? Again, lasers will not be able to do anything for you. Often times, laser dentistry will be used as a supplement to traditional dentistry, helping to speed up the process and reduce some of the potential pain which may be associated with it. Interested in Utilizing Laser Dentistry? Looking for a more advanced alternative to metal dental tools? Interested in utilizing laser dentistry in Chicago? Dental Innovations is the place to visit. Our dental professionals are very experienced in laser dentistry, using it to maintain the oral health of many satisfied patients.